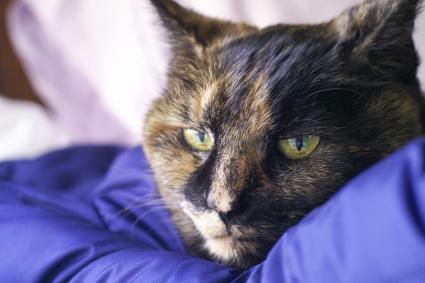 Feline Geriatric Vestibular Syndrome (FGVS) is also known as Idiopathic Vestibular Syndrome. It effects your cat's sense of balance and can occur in cats of any age. Learn how to spot the signs and learn about medical conditions with similar symptoms. Feline Geriatric Vestibular Syndrome causes a cat to lose all sense of balance like severe vertigo in humans. The cause is unknown, although it may be due to changes in the inner ear. It is also possible that inflammation of the nerves in the inner ear leads to the condition. During an episode of Idiopathic Vestibular Syndrome, your cat will become dizzy and she may have additional symptoms. Movement is adversely affected by FGVS and this increases with the stages of the disease. This is also known as ataxia. In the beginning stages of FGVS, you will notice your cat "hugging" the walls and moving uncertainly as if he's uncertain and off balance. As the disease progresses this can include falling over, running into walls or objects and walking in circles. In the advanced stage your cat will stagger and stumble and may be unable to walk at all. A cat's eyeballs will move about, moving in all directions rapidly. This is known as nystagmus. You may also see strabismus which is a deviation of the eyeballs or "crossed eyes." Cats with FGVS may tilt their head to the side with the ear with the lesion. If both ears are affected, then the cat will sway their head from side-to-side as they move. The head tilt may be accompanied by the cat leaning its entire body to one side. Your cat may make noises that sound like he is distressed and upset. His normal meows may change to be much louder and sound more urgent. Cats with FGVS will have low appetite. This can be due to nausea as well as the physical difficulty of eating and drinking when they can't properly control their head and body movements. This can eventually lead to weight loss if not treated. Because cats with FGVS are often nauseous, you are likely to see them vomit more often. This stomach upset may also include diarrhea. Weakness and lethargy are common symptoms of FGVS. Since your cat will have motion sickness and nausea, they'll be less likely to want to get up and move around, and their poor appetite will also lead to weakness. You may also see them hiding more often as they don't feel very well and want to stay in a quiet, low stress place to feel secure. Cats with more advanced FGVS will experience episodes that look similar to seizures. This can happen when the cat has a collection of the common symptoms occurring all at once. You may see drooping on one side of the face with some cats with FGVS. This drooping often occurs because of inflammation in the inner and middle ear on that side of the face or even worse, a tumor. This could go on for a few days to a few months, depending on the individual episode. It is interesting to note that this disease does not just affect cats. Older dogs and rabbits also seem to be susceptible. 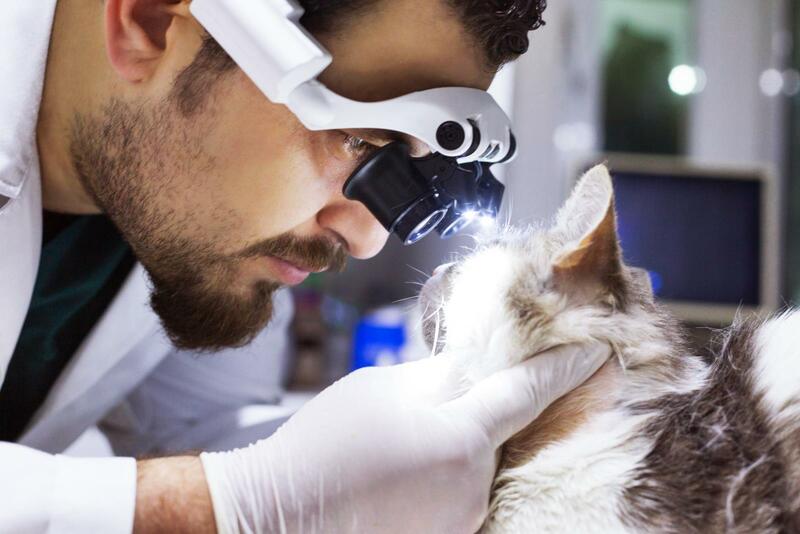 Your vet will check your cat very carefully with a thorough examination of the ear first. Your vet will also check your cat's eyes and take blood tests. Imaging tests may be done to rule out tumors if the initial tests are inconclusive. It's not uncommon for a vet to find no definitive reason for the problem. If your veterinarian cannot find a clear cause, they will probably prescribe an antibiotic in case there is an infection that was missed in the tests. An anti-fungal may also be included as well as medications to alleviate the symptoms of nausea and motion sickness. You may need to hand feed your cat and give her water. Since the fine motor nerves are affected, it can be almost impossible for your cat to eat by herself. The problem should begin to clear up in a few days, especially if there is no underlying cause. Occasionally a cat with FGVS will get over it only to be left with a permanent tilt to her head, but this does not seem to keep an affected cat from living a full and comfortable life. Typically, a cat that has had an occurrence of the syndrome will not get it again. However, there are some instances where there was a relapse of symptoms, so it can happen. While you can't hasten the recovery, there are a few things that you can do to make it easier on you and your cat. Keep the cat away from stairs and other areas where she could hurt herself. Follow your vet's instructions exactly. 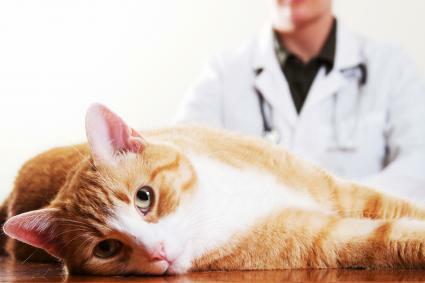 Give your cat all of her medication, even if the symptoms end before the medication runs out. It is important that you take your cat to the vet immediately if she exhibits any of these symptoms. While Feline Geriatric Vestibular Syndrome is not fatal, there are other reasons your cat might exhibit the behaviors listed above. Some other possible causes can be fatal, so it is good to have your pet checked out. The symptoms of Vestibular Syndrome can be frightening, but they usually do not pose a threat to your cat. Stay calm, reassure your pet, and take her to the vet as quickly as possible. A quick diagnosis can be especially important if the symptoms are caused by a more serious illness.